About 1 to 1.5 of precipitation has been received in past week. Nitrogen leaching is a concern! About 50-70 lbs/ac of nitrogen has been found in 3rd and 4th foot of soil profile that is probably not going to be taken up by the crop. Taking a soil test is recommended to determine how much nitrogen has been lost and make corrections on your in-season nitrogen management plan. Storm carrying 1 inch of precipitation and pea size hail came across areas of Perkins and Chase on June 16. Assess hail damage to the crop before making replant decisions. Corn plants without damaged growing point will recover with minor yield losses. In corn, growing point is under the soil surface until V5 to V6 stage; thus, protected from hail injury. 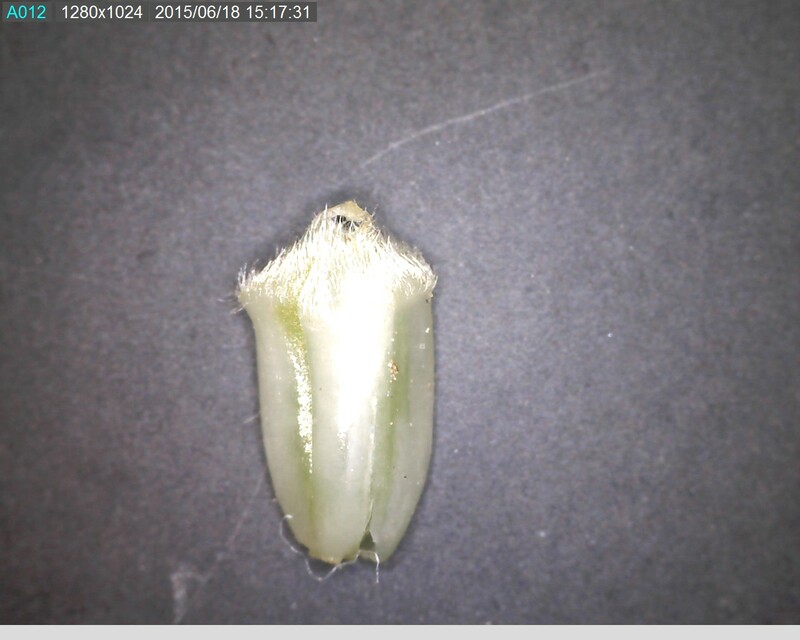 If you have corn at >V5 knife to inspect the condition of growing point to accurately determine stand reduction. 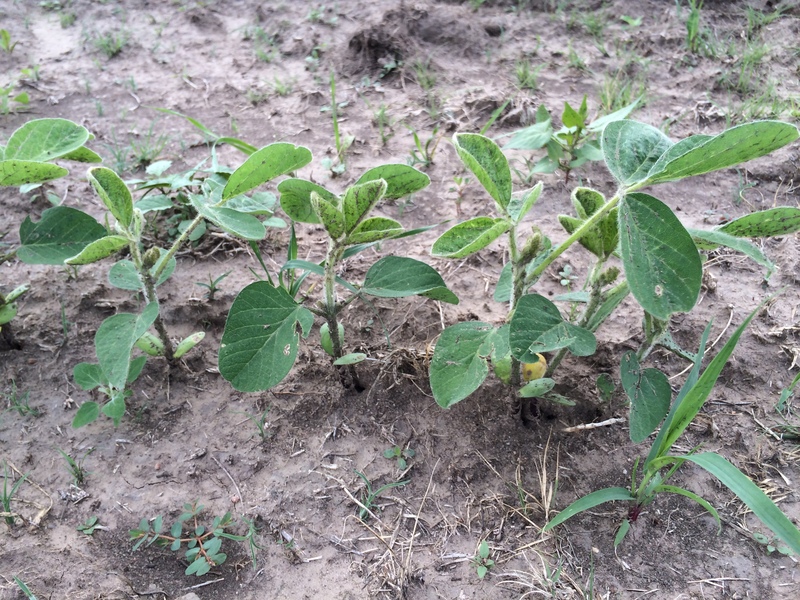 Soybean has growing point at the tip of the plant, therefore small (V1-V3) soybean plants will not be able to recover after hail damage if growing point is damaged. Larger soybeans may be able to continue growing from semi-dormant axillary buds located inside the leaf axils at first 2 nodes when top of the main stem is cut-off. 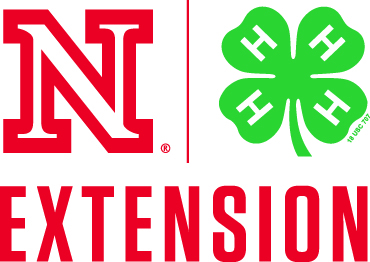 Check UNL charts for determining yield loss due to stand reduction for corn, soybean and sorghum. Wheat started filling grain. Kernels are in between watery consistency to milky ripe. With moisture and we had in past month it has been a paradise for spread of diseases, especially in dryland corners that didn’t received fungicide treatment. Leaves are often covered less than 50% with green healthy tissue. Good news are that this year we had enough moisture to make 100 bu dryland wheat (if rain patterns continue), which will overweight some yield loss coming from diseases and hopefully bring it to above long-term average. Corn growth stages range from emergence to V7. Milo from emergence to V4. Soybeans planting is 90% done and V2-V3 soybeans are found in the area. 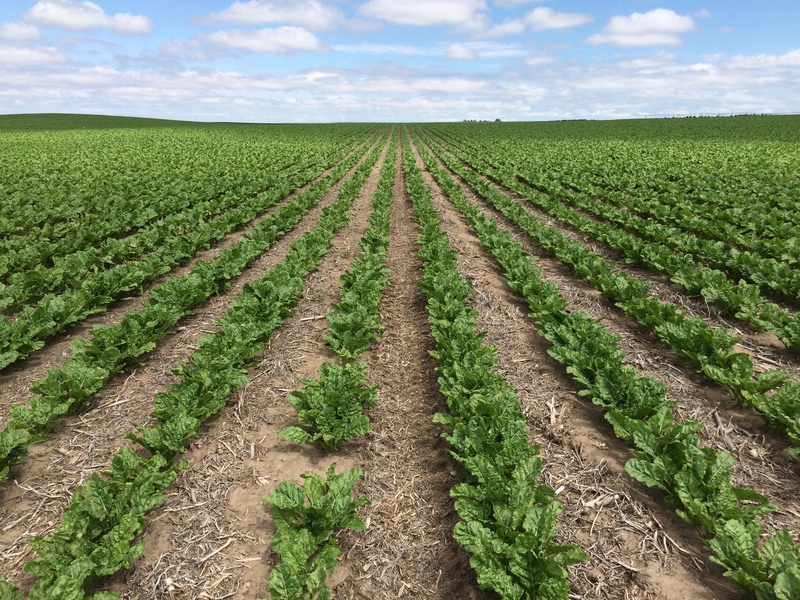 Field peas and flowering and grew about a foot in past week, potatoes are also flowering and in excellent condition, sugarbeets are at 50% cover.